In its 'Vision 2050', the Government of Flanders outlines the region it aspires to be in 2050: a social, open, resilient and international Flanders which creates prosperity and well-being in a smart, innovative and sustainable way, and where everyone counts. As an open society and economy, the future of Flanders is tied to development in the rest of the world, so the Government of Flanders wishes to see Flanders more connected with other countries than ever before. After all, most major challenges can only be effectively dealt with in an international context and through good cooperation with foreign partners. Maintaining good relations with our foreign partners is necessary for effectively promoting Flemish interests, which is a key task of Flemish foreign policy. This Flanders-USA Strategy Paper fits within the policy objective of the Government of Flanders to concretize the cooperation with its foreign partners. Its purpose is to outline why and how the government establishes relations with the United States of America, Flanders’ leading partner outside of the EU. Rather than a comprehensive description of everything that Flanders does in the U.S., the document is conceived as an overview of the most important objectives that the government has set for itself with regard to the U.S., as well as the instruments that should make it possible to attain these objectives. The further expansion and strengthening of ties with the U.S. requires a joint effort of public and private actors on both sides of the Atlantic. 3. Strengthen Flemish cultural relations with the U.S.
4. Develop tourism into an economic growth engine by 2020, with the U.S. as one of the focus markets for the Tourist Office of Flanders. 6. Promote Flemish policy expertise more strongly in the U.S. This network of the Government of Flanders in the United States of America ('Team Flanders USA') is in charge of achieving the proposed objectives. The General Delegate of the Government of Flanders acts as coordinator. Click here for the Dutch language version of this strategy paper. Internationalization of the Flemish economy is an absolute priority of the Government of Flanders. It is of crucial importance for the prosperity of every Fleming to continue to promote international growth and create jobs. Given the importance of the U.S. as a trading partner, it makes obvious sense to further promote a strong and innovative Flanders. In line with the long-term internationalization strategy for the Flemish economy and in response to further developments in the TTIP file, the U.S. must be retained as a strategic trade partner and as a major matrix for Flemish companies searching for business, technological or financial partners, as well as companies looking to establish a presence in the United States. In addition to this, we constantly work to attract American investment to Flanders, as foreign investors are essential to the economic fabric and employment in Flanders, and can strengthen Flemish clusters. For rapid growth in Flanders, it is of the utmost importance to bring the latest technologies from the U.S. to Flanders and connect them with relevant developments in our region. At the same time, Flanders must continue to service the existing American companies in Flanders, which regularly provide expansion opportunities. Favorable factors for the economic relations between Flanders and the U.S. include the limited language gap and a similar value pattern and business culture. 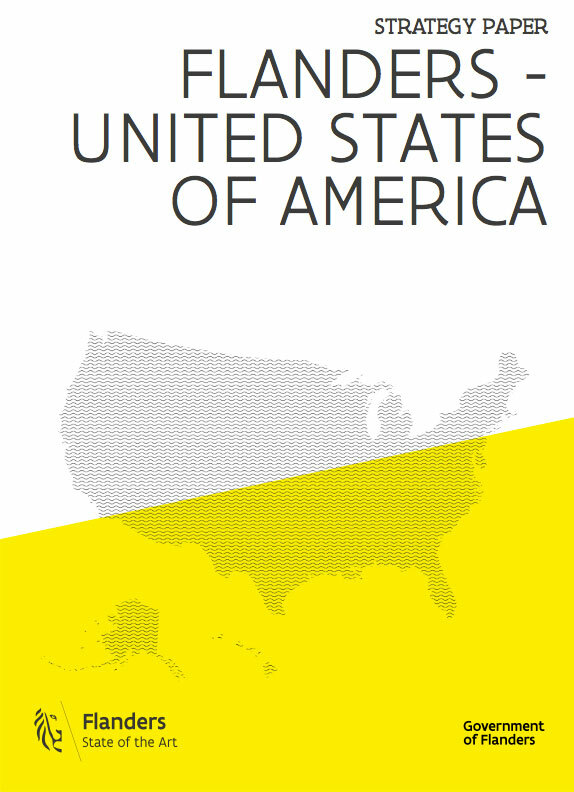 The Government of Flanders’ goal to solidify its presence in the U.S. and strengthen its economic ties with its most important investors is reflected through the various FIT representations across the U.S. With two Technology Attachés and offices in Atlanta, Chicago, Los Angeles, San Francisco, Houston and New York, FIT covers the entire country. Higher education in Flanders ranks high internationally, in both education and research. To maintain its quality and guarantee Flanders’ place in the globalized knowledge-based society , a well thought-out internationalization strategy is important. A strong reputation of Flanders in this field also reflects well on the general image of Flanders abroad. The objective of academic diplomacy is to support the Flemish universities, university colleges and research institutions in their international activities. The Flemish higher education and research institutions are partners in the daily implementation of Flemish foreign policy, reinforcing the image of Flanders as an innovative and learning region of outstanding quality. The General Delegation of the Government of Flanders aims to facilitate and strengthen the contacts between institutions and academic expatriates, students, researchers and professors. The asymmetrical student mobility between Flanders and the U.S. creates a space to further foster reciprocal mobility, both at the level of credit and diploma mobility. Therefore, one of the central objectives is to promote Flemish scientific research and the Flemish higher educational system among American students and researchers, and to encourage exchange and collaboration. Academic diplomacy is a central part of our bilateral policy in the U.S. It consists of two aspects. First, it consists of actively supporting the Flemish knowledge institutions, including the Strategic Research Centers, through a demand-driven approach, in order to maximize the international opportunities for these actors. Second, it entails getting the Flemish knowledge institutions to actively intervene in the execution of the general foreign policy of the Government of Flanders, in order to contribute to the image of Flanders as an innovative and learning region of the finest quality and an ideal site for investment in Europe. In this way, academic diplomacy also contributes to the image of Flanders as a knowledge region. The Government of Flanders joined the Institute of International Education’s Generation Study Abroad initiative to help more Americans gain international experience through study abroad programs. By becoming a Country Partner of IIE, Flanders hopes to increase mutual understanding and development of both societies and education systems in Flanders and the United States, as well as the expansion of academic institutional cooperation, staff and student mobility. Through the ages, Flanders has been home to world-renowned painters such as Van Eyck, Rubens and Van Dyck. Flanders, however, also boasts a number of contemporary artists who have achieved international acclaim. Since the 1980s and 1990s, a great deal of revolutionary and pioneering work has occurred in the art world, fostered by individuals and institutions as well as the government, which gradually helped to enable an extensive professionalization of the cultural sector. If Flanders should pride itself on one thing, it would certainly be its longstanding cultural heritage and contemporary artistic practices. Over the centuries, many prominent Flemish artists have had a lasting impact and have inspired painters around the world. One only has to think of artists like Van Eyck, Hans Memling, Pieter Bruegel I, Pieter Paul Rubens, Sir Anthony van Dyck and Jacob Jordaens or, more recently, James Ensor, Constant Permeke and Magritte, to grasp Flanders’s contribution to the arts. In the 15th century, the so-called Flemish Primitives were among the first artists in Europe to paint a detailed vision of the world around them. This is also true for an artist as Pieter Bruegel I, who is best known for his seasonal landscapes and seemingly comical depictions of peasant life. The Baroque style of the 17th century also yielded several important Old Masters, who cemented Flanders’ place in the history of art. This rich cultural heritage is still a strong part of the culture and is fundamentally supported by the community of Flanders. Therefore, since the inauguration of Cultural Heritage Day in 2008, collaborators in museums, archives, heritage libraries and regional geography and history groups have formed a network whose mission is to bundle expertise and to reach a wide audience. Artists such .as Luc Tuymans and Jan Fabre have paved the way for the contemporary visual arts scene in Flanders by developing a visual language that has influenced artists both at home and abroad. Today, new generations of Flemish artists, curators and museum directors are omnipresent in museums, art centers and international biennials across the world. Flanders has an exceptional array of medium-sized visual art institutions, including MHKA and the Middelheim Museum in Antwerp, S.M.A.K. in Ghent, Mu.ZEE in Ostend and Bozar and Wiels in Brussels. There are also numerous experimental art spaces: Objectif Exhibitions in Antwerp, Netwerk in Aalst, Z33 in Hasselt and Argos in Brussels, each with a unique profile and remarkable exhibition programs. Flanders also counts a significant number of collectors who play an important role in supporting emerging and established artists and enriching the collections and exhibition programs of public museums. Art galleries form a vital part of the scene as well, with prestigious international galleries moving to, or opening a branch in Brussels. The contemporary performing arts scene in Flanders is a dynamic landscape of high-quality artists and venues, creating theater and dance in all its forms. This dynamic scene is rooted in the 1980's, when globally influential theater makers as Jan Fabre, Jan Lauwers, Jan Decorte, Ivo Van Hove and Guy Cassiers, and choreographers such as Anne Teresa De Keersmaeker, Alain Platel and Wim Vandekeybus flooded the field with innovative choreography and theater, establishing their signature tradition, which in turn inspired new generations of groundbreaking artists. Performing artists in Flanders today create a wealth of hugely diverse performances, from repertory theatre and dance, to site-specific performances. Their work is rooted in a rich international practice of worldwide presentation and co-operation, showing openness to other disciplines and often integrating new media, visual arts, live music and contemporary writing. More than 280 music festivals take place every year, in a variety of musical styles. Rock Werchter and Tomorrowland have received international acclaim and are widely considered among the best pop/rock and dance festivals in the world. While jazz aficionados fall in love with Ghent Jazz and Jazz Middelheim, Flanders also has an international reputation for its performances of early and classical music. Festivals like Laus Polyphoniae cherish the early music tradition of polyphonic music. The Festival of Flanders and the annual Queen Elisabeth Competition attract young musicians from around the world. The architectural scene in Flanders and Brussels is one of the most vital in Europe. Antwerp, Ghent and Brussels are tourist destinations attracting international attention for their contemporary architecture. Moreover, architects from Flanders are frequently invited by internationally renowned art events such as the Biennial of Venice and the Oslo Architecture Triennial to serve as curators or make artistic contributions. The extensive building production of quality in Flanders is truly remarkable. Architects from Flanders have developed innovative strategies for redeveloping former industrial sites and urban areas, and formulated new concepts for housing, infrastructure and leisure. These contemporary architects make it clear that architecture’s contribution to contemporary Flanders lies not just in its iconic buildings, but also in the careful yet imaginative handling of its building program and construction techniques. Flanders is a prominent player in the world of design, from industrial and graphic design to jewelry and ceramics, and also enjoys a strong representation in the field of the applied arts. This rich tradition and excellence of design in Flanders is found in its various academies, design exhibitions and organizations, as well as design museums and centers such as those in Antwerp and Ghent. Flanders exudes design, and demands only the best from its designers. An icon of the design world in Flanders is Maarten Van Severen (1956-2005), who made history with his chairs, tables and cabinets. Other notable material designs include the ceramic elegance of Piet Stockmans, and, among the younger generation, Bram Boo’s playful colored furniture. Flanders also boasts internationally acclaimed jewelry designers and silversmiths such as Nedda El-Asmar and David Huycke. Belgian fashion design is marked by its quality, innovation and high level of craftsmanship, and is recognized and celebrated around the world. The internationally renowned Antwerp Six, who graduated from the Royal Academy of Fine Arts Antwerp in the 1980's, are still highly productive, both in Belgium and on an international level. Several of the Six are now fashion leaders with their own labels, such as Dries Van Noten, Walter Van Beirendonck and Dirk Van Saene. Even though he did not study fashion primarily, Raf Simons has become Flanders’ most renowned fashion designer. Younger graduates such as Haider Ackermann and A.F. Vandervorst have also made their mark on the world stage. Brussels is a true fashion center which tends to displays a more avant-garde image than Flanders’ other design centers. The Brussels fashion academy La Cambre is at the pinnacle of the international fashion scene, with Kim Stumpf and Jean-Paul Lespagnard as notable alumni. The film production landscape in Flanders has changed dramatically over the past 15 years. Most striking is the emergence of a new generation of creative talent, led by internationally acclaimed film directors as Michaël R Roskam, Felix van Groeningen and Erik Van Looy and actors such as Matthias Schoenaerts and Veerle Baetens. Animation studios in Flanders are expanding as well, developing ambitious projects of their own and participating in prestigious international productions. Driving this newfound vitality is a framework of incentives and other mechanisms that nurture local talent and make film productions possible. Creativity in Flanders also benefits from a thriving services sector, with several visual effects and digital post-production houses that are becoming significant international players. Companies such as Barco, a world leader in digital cinema projection, and Galaxy Studios, the business behind Auro-3D sound, are helping to revolutionize the cinema experience. Aficionados of Flemish literature can certainly boast of its past, present and future: Flanders has a rich literary tradition, but also produces some of the finest contemporary Dutch-language literature. International attention for translations of prose, poetry, illustrated teenage and children’s literature, graphic novels, literary non-fiction and theater texts has risen sharply in recent decades. Comics and illustrated children’s books, for example, are a highly developed, distinct and well-known art form in Flanders and abroad. Drawing on the Belgian tradition set by the creators of Tintin and Gaston, comic artists from Flanders are refining their craft into art, and increasingly gaining international recognition. The same applies to illustrators from Flanders, who are renewing, adapting and expanding techniques established by our world-famous artists from the Middle Ages onwards. Although these artists share a common heritage, they all seek a straightforward, highly personal and recognizable style. For specific questions related to these aforementioned disciplines, we refer you to the various official and specialized arts organizations in Flanders and Brussels. fosters mutual understanding and trust in international relations. The General Delegation of the Government of Flanders to the USA wants to give Flemish artists a helping hand and does so in several ways. This can range from organizing a reception to highlighting a dance performance, supporting a festival that shows Flemish companies, to making publicity for an exhibition through our website and newsletter. Subsidy for an international public presentation: a smaller scale subsidy for a maximum support of 7000 EURO. You can apply for this up to two months in advance. You may still find the love of your life in one of our beautiful cities. Every year visitors from around the world fall in love with more than our chocolate, beer, architecture or fairytale landscapes. With chocolate stores on every street corner and the sweet smell of warm waffles filling the air, a visit to Flanders feels like a match made in heaven. Situated in the north of Belgium, Flanders boasts six beautifully preserved historic cities: Antwerp, Bruges, Brussels, Ghent, Leuven and Mechelen. From medieval splendor to mouthwatering dishes, it is hard to find fault with this pint-sized destination in the center of Europe. VISITFLANDERS is an independent government agency with a mandate to promote tourism in Flanders, including Brussels, Antwerp, Bruges, Ghent, Leuven and Mechelen. The agency, operates in the United States as a foreign entity with a clear mission to showcase and highlight the different attractions and themes in all the destination cities within Flanders. VISITFLANDERS works very closely with travel agents, tour operators, travel associations, the meetings and incentives sector and with members of the press to promote this region that is constantly improving its line of products and attractions. You can discover what this region has to offer in the Arts, Design, Fashion, Comics, Cycling, History, Festivals, Food, Crafts, and much more! Our cities include Brussels, Antwerp, Bruges, Ghent, Leuven and Mechelen. For the MICE sector, please visit Meet in Flanders. An analysis of the U.S. State Department talks about emigrants as “living links with their homeland, lines that throughout the world ensure a reciprocal flow of people, products and ideas.” Such a global sense of 'connectedness' is more than money or status, the key to success in the contemporary world. The government has decided to actively involve Flemings who reside abroad in Flemish foreign policy. These expats are in many cases top professionals and often hold socially important positions. The Flemish diaspora and expats can therefore informally yet significantly reinforce the Flemish foreign network. Along with these temporary or permanent expats, the U.S. also hosts a significant group of descendants of Flemish emigrants, primarily in the Midwest. Americans who are able to trace their genealogical origins to our region can act as ‘ambassadors’ for Flanders. They are also an ideal target group for 'back to the roots’ tourism. Mapping out this ‘Flemish Community’ and connecting them with one another is the objective. Flemings in the World (Vlamingen in de Wereld - VIW) is an active networking foundation set up between Flemings all around the world. VIW wants to forge a bond between Flanders and all of the emigrated and expatriated Flemings. It plays an essential role in creating as many useful contacts as possible on an economic, cultural, social and human level. VIW wants to uphold the positive image Flanders has abroad, and does so with the aid of emigrated Flemings. VIW also wants to show young adults in Flanders that there are many wonderful opportunities abroad. VIW takes care of Flemish people who have international plans, offering them information and stimulating mutual contacts through different initiatives which simplify and enrich the lives of migrating Flemings. VIW provides them with advice, guidance and important information. Additionally, they lobby for initiatives with relevant authorities and public services that can make life easier for Flemings abroad, and strengthen the bond between Flemish emigrants and Flanders. The organization guides them to create a home in their new country, while also connecting them with their home in Flanders. And last but not least, VIW advocates for sufficient educational facilities involving the Dutch language and Flemish culture, and towards the extension of the right to vote abroad. Click here to learn more about consular, business and community services for Belgians living, working or visiting the U.S.
By 2030, Flanders will have a million more inhabitants than it has today. This population growth poses major spatial, social and ecological challenges and opportunities for Flanders, especially for its cities. The Government of Flanders views cities as the engine of society, places where solutions for social challenges are being thought out. This is why its urban policy stimulates cities to evolve into sustainable and creative places, with the goal of providing a sustainable future for everyone. Flanders stimulates its cities by providing both subsidies and expertise. It promotes innovation, knowledge development and the exchange of experience between all those involved in building sustainable cities. Urban policy is a specific competence of the Government of Flanders, which also has a Flemish Minister for Cities. Not only is the urban policy embedded in the general policy of the Government of Flanders, but, since 2000, it also exists as its own, specific policy with a budget of €147 million. Flanders has established a partnership with its cities to conduct this urban policy. Flanders is centrally located in Western Europe and, as a logistics hub for Europe, has a dense network of roads, railways, waterways, ports and airports, which is an undeniable asset for the Flemish economy. Our main seaports, Antwerp, Zeebrugge, Ghent and Ostend are gateways to the European hinterland. Geographically speaking, sixty percent of European purchasing power is located within 300 miles of Flanders. Antwerp, Ghent, Ostend and Zeebrugge are situated a mere 60 miles apart, while Paris is barely 185 miles away, and the Ruhr Area 90 miles at most. Our neighbors play an important role in this strategic position. Logistics with an international dimension are a crucial part of the Flemish foreign policy. Flanders helps promote the right to healthcare for everyone, everywhere. It scores very well internationally in terms of access to healthcare, and has devoted increased attention to the prevention of diseases and invalidity. Flemish universities and care institutions have a lot of in-house expertise on how to best organize a health care system. Many Flemish companies are actively engaged in developing and producing all kinds of technologies for the healthcare sector, including medicines, vaccines and digital imaging. All these efforts are based on the simple conviction that good physical and mental health are absolute prerequisites for sustainable development and the general well-being of the Flemish people. Smart financing options, a cutting-edge innovation ecosystem, decades of expertise, a broad talent pool of academics and entrepreneurs and a strategic location with global reach are the five main ingredients of Flanders’ highly developed life sciences field. Countering climate change requires the development of innovative technology as well as a sustained global commitment to bringing about a clean energy economy. In Flanders, both policy makers and businesses regard energy and environmental issues as opportunities for developing innovative technologies. The region’s prominent renewable energy companies, pioneering research centers, knowledge platforms and government pave the way for a flourishing, sustainable cleantech industry. Flanders has a long tradition in human rights issues. These rights reflect the fundamental values of society, such as justice, equality, dignity, mutual respect and solidarity. The Government of Flanders is legally bound by a large number of international treaties on human rights to which Belgium is party. In most cases, however, it has explicitly approved them as mixed treaties and has also often been involved, through its experts, in the development of new standards. For Flanders, respect for human rights through its own policies is a legal and ethical obligation. Flanders is very active at the international level within different organizations in defending fundamental rights and acting against human rights violations. Flanders chooses to deal with human rights matters explicitly through leveraging the EU and the UN Human Rights Council. Given that respect of human rights undeniably leads to greater peace, security and economic and social progress, a proactive international policy on human rights advances the long-term interests of Flanders. End extreme poverty, protect the planet, foster peaceful and inclusive societies and ensure fair prosperity for all. That is the core message of the 2030 Agenda for Sustainable Development. The Government of Flanders has participated in the creation of the 17 goals, and uses them as a guideline for its international activities. Flanders commits itself, together with the international community, to offer financial and technical support to developing countries in order to enable them to follow a low-carbon development path and to enhance their resilience to the consequences of climate change in their community. Flemish development cooperation is operational in developing countries and has the expertise needed to identify, fund, monitor and report international climate projects. This cooperation mainly targets Southern Africa, with a specific focus on building resilience to climate change in the concentration sectors of agriculture, job creation, disaster prevention and health. Flemish multilateral cooperation consists of two complementary tracks. Work is done both within the Belgian membership of multilateral organizations and through direct relations between Flanders and the relevant organization. This direct cooperation provides a wide range of opportunities for funding to multilateral organizations. The Government of Flanders offers financial support to specific programs and projects such as UNICEF and CERF. Stimulating American interest in Flanders begins with name recognition and developing and maintaining a well-conceived image on the ground. In line with the brand policy of the Flemish government, Flanders needs to be known to the American public, companies and governments as ‘State of the Art’. This motto is meant to emphasize the craftsmanship and know-how of Flanders. The government of Flanders aims to highlight Flanders as one of the top regions in Europe, by highlighting our Flemish Masters and In Flanders Fields, for example. Flanders is an autonomous Belgian federal state in the heart of the European Union, with a strong democracy, an open economy, high-performance companies, top research institutes, innovative clusters, logistical advantages, talented, multilingual and well-educated people, where culture and creativity are respected and where life is good. Flemish emigration in the 19th century, the two World Wars and several historical figures offer points of departure for introducing contemporary Flanders in the U.S. Contemporary Flanders offers many things to do, visit, eat and experience. In Flanders we design fashion that competes with renowned fashion capitals such as Paris, Milan or New York. As the diamond capital of the world, we are responsible for nearly 80 % of the rough diamond trading worldwide. We speak multiple languages and embrace the multicultural aspects of our region. We export hundreds of beers, each with a distinctive taste that represents a part of Flanders. Flanders invests in various sectors to advance research and enhance the quality of life for all. In the industrial sector, we deliver heavy-duty machinery and sophisticated medical transplants. We assemble world-famous cars and bikes. Furthermore, we encourage scientists and craftsmen to think unconventionally and endeavor to provide an environment where innovation is possible. We champion recycling and, in line with the sustainable development goals, we strive to reduce our ecological footprint. Flanders and the U.S. have a shared historical heritage. Flemish emigration in the 19th century, the two World Wars and several historical figures and events allows us, in collaboration with American partners, to keep the memory of this heritage and its commemoration alive, to the benefit of present and future generations. In addition, this shared heritage can offer a point of departure for introducing contemporary Flanders to an American audience. The colony of New Netherland was established by the Dutch West India Company in 1624 and grew to encompass all of present-day New York City and parts of Long Island, Connecticut, and New Jersey. A successful Dutch settlement in the colony, including many Flemish immigrants, grew the southern tip of Manhattan Island and was christened New Amsterdam. Among the Flemish immigrants was Govert Loockermans from Turnhout. Young Govert Loockermans made his way to Amsterdam, then spent two months traveling as a cook’s mate before arriving in Manhattan in 1633. In less than twenty years, Loockermans would rise from relative obscurity to become one of Manhattan’s most prominent merchants and one of the founding fathers of New Amsterdam’s first municipal government.. The Red Star Line was a legendary shipping company which carried 2.6 million passengers – mostly from Central and Eastern Europe – from Antwerp to New York and Philadelphia. The company was founded in Philadelphia in 1871, as a joint venture between Americans and Belgians. In September 2013, the Red Star Line Museum opened in the historic warehouses of the Red Star Line shipping company in Antwerp. Visitors to the museum can embark on a moving journey, retracing the footsteps of emigrants such as Irving Berlin, Albert Einstein and Golda Meir. Started by Camille Cools in 1914 as a weekly in the Dutch language, the Gazette van Detroit is the last remaining newspaper for Belgians in North America. The Gazette van Moline (1907-1940) was the first one, and Cools, an immigrant from Moorslede, was its Detroit correspondent. The Gazette van Detroit contained news from Belgium (especially important during the Great War) and reported on the activities of local organizations, social events, and sports from pigeon flying to archery and bicycle races. On October 11, 2009 the Vatican canonized Father Damien. He was the tenth person recognized as a Saint to have lived, worked, or died in what is now the United States. In 2015, to commemorate and celebrate Father Damien’s legacy in New York City, 33rd Street between First and Second Avenues was co-named 'Father Damien Way' in honor of this remarkable Flemish priest. Joseph De Veuster was born in Tremelo in Flanders, Belgium in 1840. He entered the Congregation of the Sacred Hearts of Jesus and Mary in Leuven, took the name of Damien, and left for Hawaii as a missionary in 1864. Once he arrived in Kalaupapa on the island of Molokai, he took care of those who had been spurned by society because of Hansen’s disease, also known as leprosy. For 16 years, Father Damien cared for the physical, spiritual, and emotional needs of those who had been confined to the settlement, until he eventually contracted the disease and succumbed to it in 1889. In 1969, the State of Hawaii gifted a statue of Father Damien to the United States Capitol’s National Statuary Hall Collection. Father Damien’s legacy of faith, compassion, and dedication for the most vulnerable among us, is an inspiration to us all. He was a priest and a healer, a community leader and early human rights activist, and a catalyst for the current movement to eradicate neglected infectious diseases. Flemish chemist and entrepreneur Leo Baekeland (born November 14, 1863, Ghent, Belgium—died February 23, 1944, Beacon, New York, U.S.) helped found the modern plastics industry through his invention of Bakelite, the first thermosetting plastic. Baekeland received his doctorate from the University of Ghent and taught there until 1889, when he went to the U.S. and joined a photographic firm. Though the material had been reported earlier, Baekeland was the first to find a method of forming it into the thermosetting plastic. Baekeland received many honors: during World War I he was appointed to the Nitrate Supply Commission and served as president of the committee on patents of the National Research Council. He served as president of the American Institute of Chemical Engineers and the American Electrochemical Society and, in 1924, became the President of the American Chemical Society. In the middle of the 19th century, Pieter Jan De Smet made his home among the indigenous people of America’s Rocky Mountains. As a missionary working among the American Indians of the Columbia Plateau and the Plains, Jesuit Pieter Jan De Smet was a privileged witness to an important phase in the history of the development of the United States. He was also in a unique position to witness first hand how this young nation began its massive westward expansion. This mass migration was to cost the indigenous population dearly as, in record time, the local native people saw the loss and destruction of their traditional territories and way of life, based on a nomadic existence that was spent hunting bison. Nineteenth-century Indian clothes and weapons illustrate the way the American Indians lived and thought, as described in detail by De Smet in his countless letters. De Smet’s travels and encounters with the American Indians are recalled through maps, drawings, paintings, photographs and documents. In the period from 2014 to 2018, the whole world, and Flanders in particular, is commemorating the Centennial of the First World War. More than nine million soldiers from about fifty modern-day nations did not survive the ‘Great War’. 600,000 soldiers and civilians lost their lives in our country. One hundred years later, the dramatic events of 1914-1918 still seem to have a fundamental impact on our society. Flanders experienced all aspects of this first global conflict first-hand: the invasion, the occupation, the four-year trench war and, finally, the liberation. The landscape of Flanders Fields still tells the tale and bears the scars of the war. It contains hundreds of monuments and cemeteries, which have great historical significance for many nations. To this day, the Great War lives on in our collective memory. The Government of Flanders is actively engaged in the commemoration of World War I. One century later, we wish to commemorate the victims of this war to ensure the sustainable preservation of our war heritage for future generations. Simultaneously, the Government wants to acquaint young people with the horrific events that took place one century ago as well as their consequences, and make them reflect on war and peace. The daily 'Last Post' which has taken place each day since 1928 at the Menin Gate in Ypres, is proof that the memories of the fallen are still honored today. Meanwhile, the intense desire for peace thrives as well. A hundred years on, Flanders will host those wanting to commemorate and to learn from the past. While it welcomes guests from more than 50 nations involved in the conflict, the government of Flanders is leading a wide-ranging project of international remembrance and peace education, which will allow us to make sense of our past and learn from it for the future. The signing ceremony took place at the University of Leuven’s Central Library, which is symbolic, since the library was destroyed in 1914 during 'The Fire of Leuven', and afterwards rebuilt with American support. Every year, on the occasion of Memorial Day, the General Delegation of the Government of Flanders to the USA organizes its 'Annual In Flanders Fields Memorial' at the Clinton War Memorial in DeWitt Clinton Park in New York City. The monument was commissioned by the Clinton District Association as a memorial to the young men from the neighborhood who died in World War I, one of nine such statues erected in New York City’s parks. The monument was dedicated on Armistice (now Veterans) Day 1929 and consists of a pensive infantryman, known as doughboy who holds poppies in his right hand and whose rifle is slung over his left shoulder. The granite pedestal is inscribed with the above verse, taken from the famous poem by Lt. Col.John McCrae 'In Flanders Fields'. In commemoration of all those who fell "In Flanders Fields" a 100 years ago, wreaths are placed at the foot of the Clinton War Memorial. The ceremony then continues with a reading of McCrae's poem and concludes with the sounding of the 'Last Post' and 'Taps' as a symbolic final farewell to those who gave the ultimate sacrifice. On more than one occasion, the Mayor of the City of New York has officially honored the General Delegation with a Mayoral Proclamation in support of its annual memorial. A century ago, as the First World War devastated Europe, Americans watched in horror at the war’s human cost. But they did not just watch, they got involved. Volunteers distributed food, clothing and medicine to soldiers and civilians in Belgium and France. They drove ambulances, operated field hospitals and steered relief trucks. Some served under arms as soldiers or pilots in the French and British armies. Prompted by altruism and personal ambition, in search for adventure, they entered the conflict. The choice that tens of thousands of young men and women made, transformed the meaning of volunteerism, as well as the position of the United States in the world. The Volunteers: Americans Join World War I, 1914-1919, which was supported by the Government of Flanders and launched on March 2, 2016 at an event hosted at Flanders House in New York City, is a free curriculum aligned with the U.S. Common Core and UNESCO Global Learning Standards for secondary school classrooms worldwide. The curriculum helps students analyze the history of World War I through the lens of volunteer service, both before and after the period of American neutrality. The curriculum also aims to continue the legacy of volunteerism established during World War I by encouraging students to engage in local, regional and international service. The Flanders Field American Cemetery, located in the Flemish town of Waregem is the only American World War I cemetery in Belgium. With 368 graves, it is the smallest of 8 permanent American cemeteries commemorating the First World War in Europe. After the war, the USA, contrary to their British counterparts, allowed the repatriation of their war dead by request of their next of kin. Others wished that their loved ones remained in Europe. That is why in 1919, the American War Department commenced establishing permanent cemeteries: six in France, one in England and one in Belgium. Every year since 1922, a unique Memorial Day ceremony has been held at the Flanders Field American Cemetery, attracting hundreds of visitors. Monuments were also erected in Kemmel and Oudenaarde in recognition of the American achievements during the First World War. These inauguration ceremonies took place on August 8, 1937. For more information about the Government of Flanders and the commemoration of the Centennial of World War I in the U.S. contact us at 2014-18@flandershouse.org.